Hey Everyone! I have a review for you today! 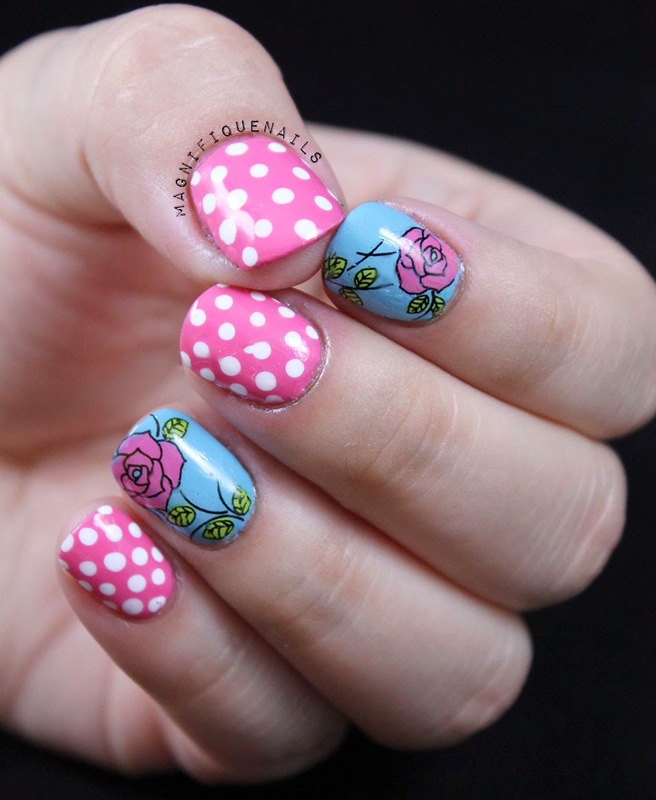 Today's post is all about water decals from Born Pretty Store. They sell tons of nail art supplies that are affordable to all. This is actually the first time I'm trying out water decals. I have to admit it's super easy to use, especially when you don't want to do a time-consuming nail art. These specific transfers come in one packet of stickers with 20 different designs. 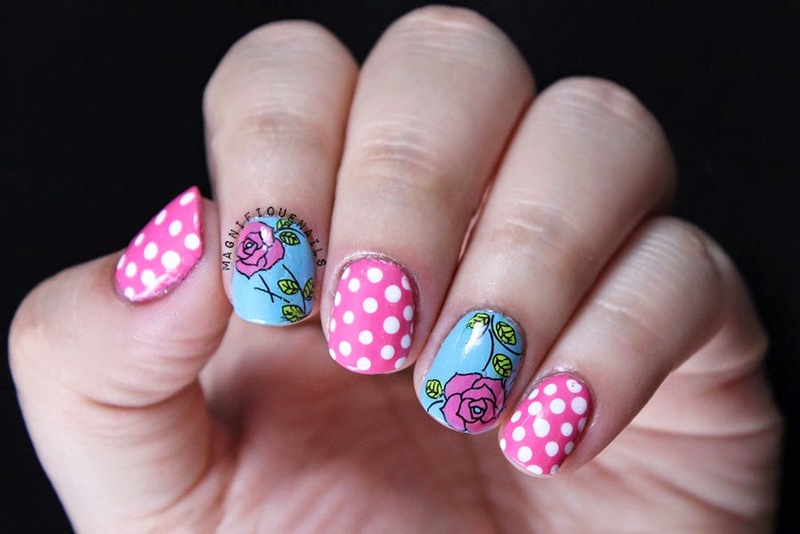 The decal's I choose are black floral nail water decals, which you can find here (D256). These are little different from the other decals they sell in their store, you can actually paint them! Which is pretty cool! So here's a little nail art I did with the decals. 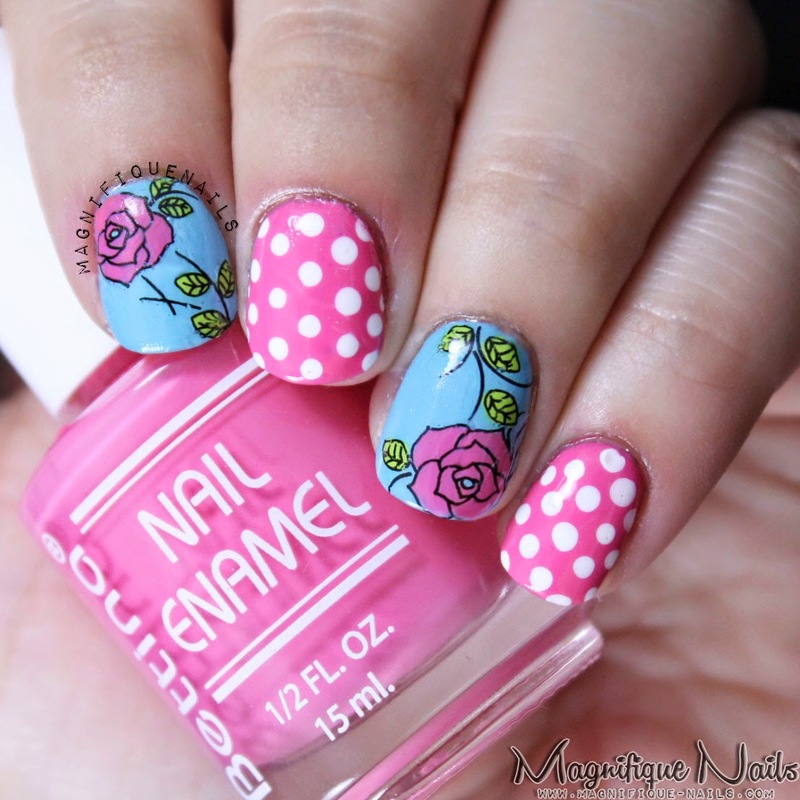 For the floral decals, I applied two coats of Bettina's Peppermint for the base. 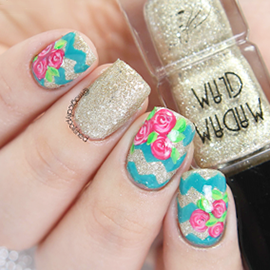 Once the polish is dried, apply the decals on the corner of your nails. On the bottom of this post I created a step by step tutorial to show how I painted & applied the decals. The painted roses is Bettina's Tulipani & the leaves is Green Apple. Then, seal the design with one coat of Out the Door Top Coat. Lastly, for the polka dots I applied two coats of Tulipani. Using Art Club's Duo White I created the dots with their nail art pen. Then, seal the design with one coat of Out the Door Top Coat. You can get 10% off your Born Pretty Store order with my coupon code: ADBQ10. They offer free shipping worldwide. Hope you enjoyed my post today!